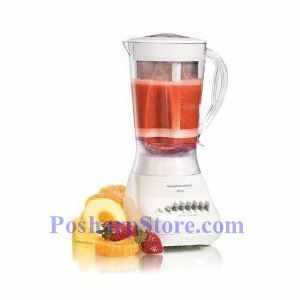 Enjoy Aguas Frescas in the comfort of your home with the Hamilton Beach Aguas Frescas Blender. 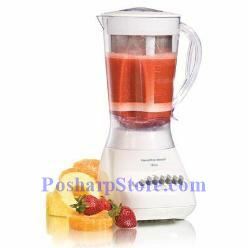 This unique blender comes complete with a strainer that filters out the pulp & seeds for smooth and fresh fruit drinks. The large 56-oz Wave Action blending jar pulls mixtures down into the blades for consistent blending and the 700-watt peak power motor provides plenty of power. Now you can easily enjoy refreshing Aguas Frescas anytime with this new Hamilton Beach Aguas Frescas Blender.